Plans and prices are now available on www.healthcare.gov. There are many changes to 2019 plans. We can assist consumers with questions or apply for coverage on the phone. If needed, we can see them in person by appointment only. 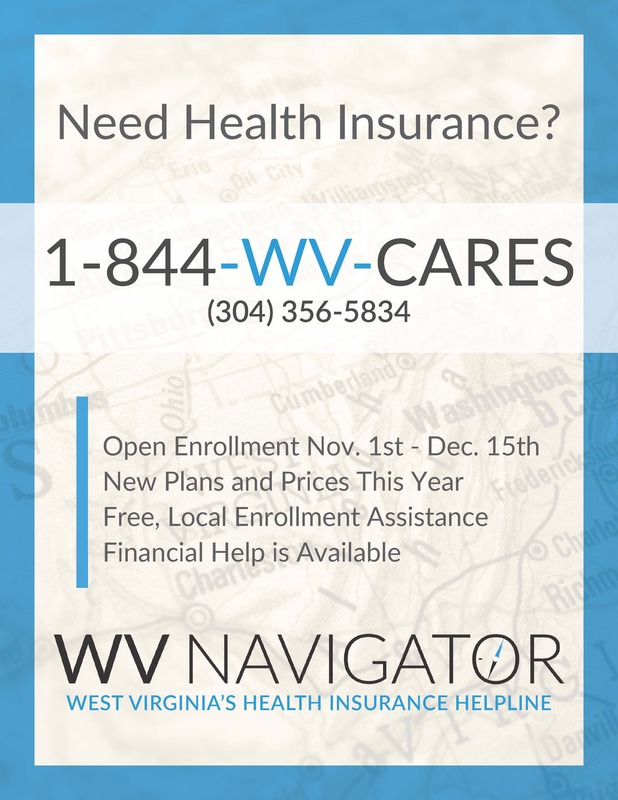 WV Navigator is the only navigator grantee in the state and we are based in Charleston. Open enrollment is November 1 to December 15 (please see attached flyer). 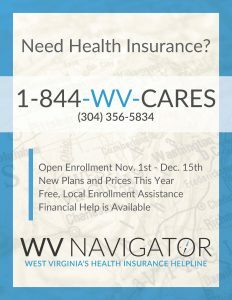 Enrollments are done throughout the year should a consumer is eligible for the special enrollment period outside of open enrollment. ← RESOURCE: WVABLE is a new federal program that allows individuals with disabilities to save up to $15,000 per year without losing Medicaid or SSI.